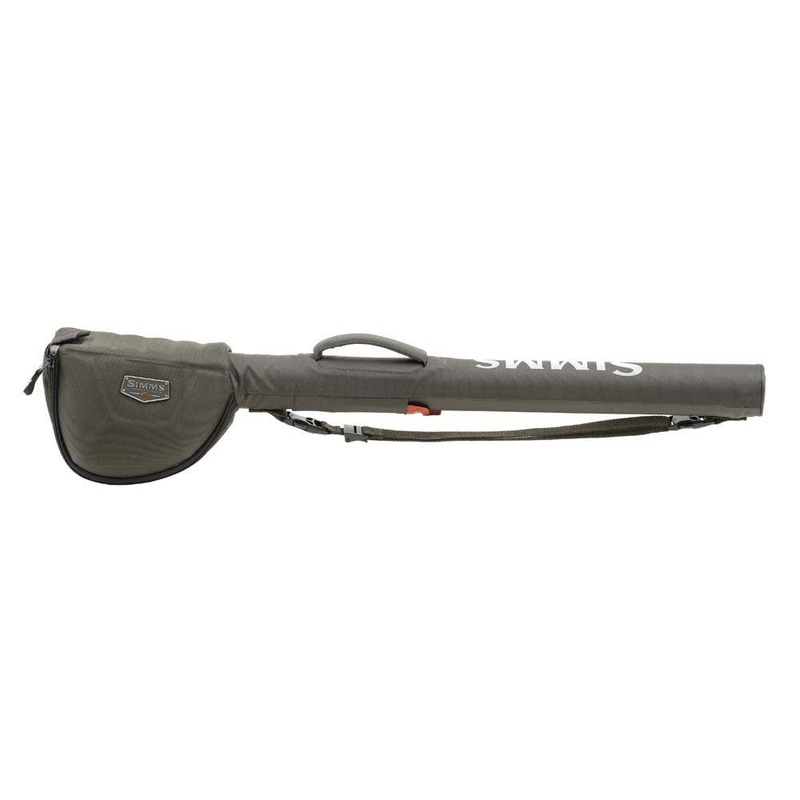 Keep your favourite rods and reels together, safe and secure in solid high-density plastic, covered with super-tough 1680D ballistic fabric. 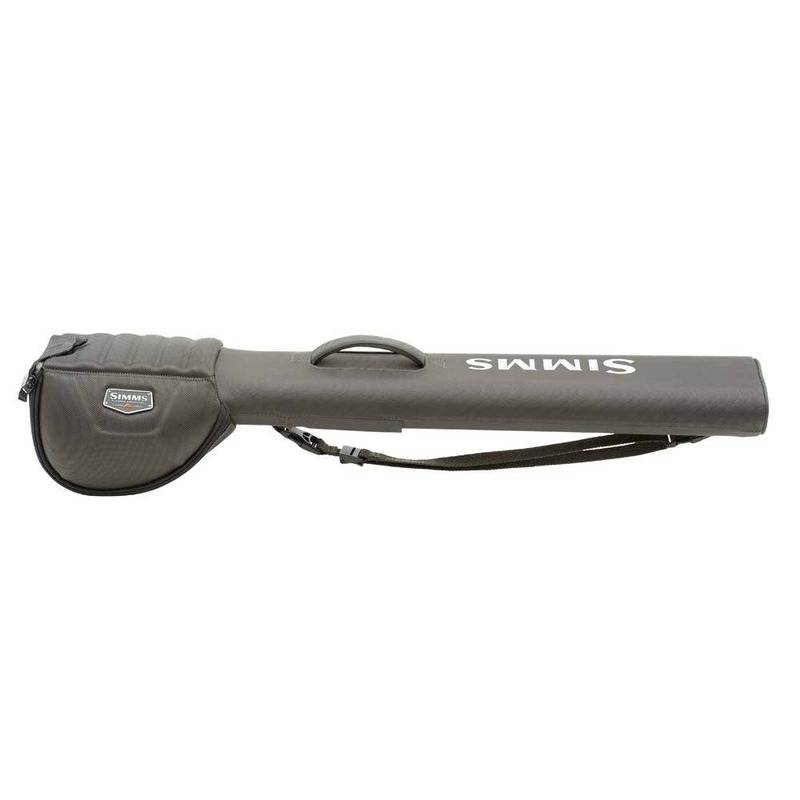 Inside the case, store up to one 4-piece, 10-foot rod or size-appropriate switch and mini-speys. Highly considered features include an interior loop field for retiring flies at the end of the day and a convenient reel carriage for carrying up to one large salt reel. In addition, removable Velcro rod-wrap straps cut clutter, and a detachable/adjustable shoulder strap and padded handle deliver grab-and-go convenience. A retractable luggage tag comes standard. 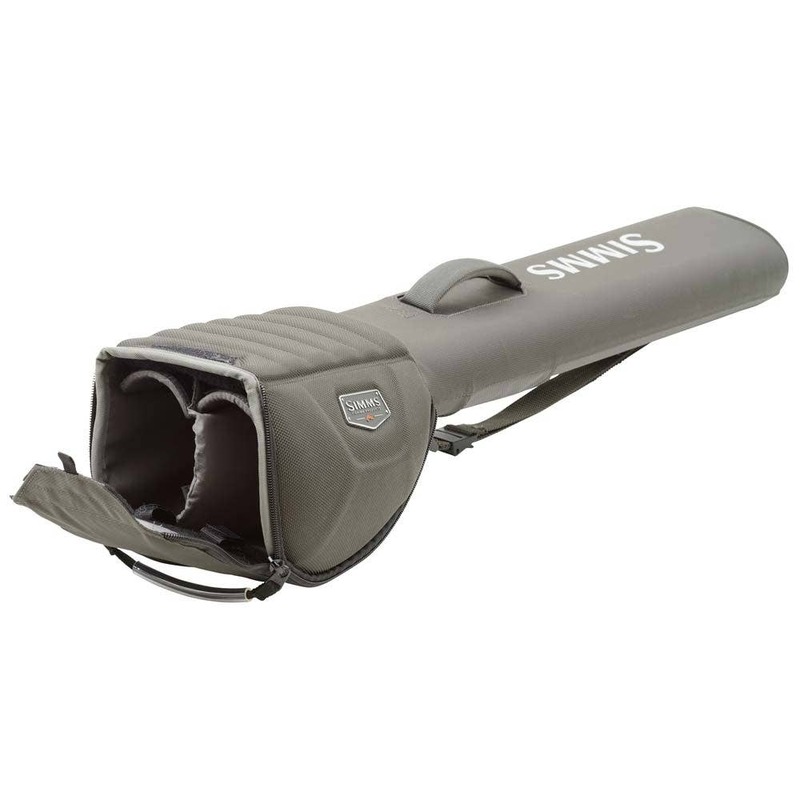 Fabric Tech: 1680D dobby ballistic fabric & high-density plastic tube with DWR finish Approx.